In the blink of an eye, a fisherman's idyllic vacation turns into a terrifying struggle for survival. One moment he is trout fishing a remote river in the icy mountains of New Zealand. The next, he witnesses a cold-blooded drug-related murder and finds himself on the wrong end of a manhunt. As he tries to contend with starvation and the harsh and uncompromising wilderness, Ryan must also deal with killers on his trail and the turmoil within his frightened and malnourished mind. Meanwhile, Auckland detectives are hunting the drug-dealers themselves, suspecting that the organised crime syndicate is behind a rash of deaths related to the manufacture and distribution of crystal meth (ice), including that of an innocent teenage schoolgirl. The detectives' investigation and the fisherman's ordeal collide in the rocky, forested wilderness, where a brazen Maori police officer must salvage justice from lawlessness. 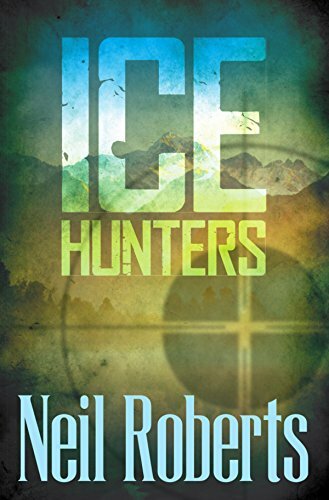 Ice Hunters is a fast-paced, chilling thriller that pits one man against nature and his fellow humans, and simultaneously weaves an important warning about illicit drugs into a gripping survival story. Set against a backdrop of the beautiful but unforgiving Southern Alps, the novel delivers danger and suspense from all sides.